Approximately one third of our lives should be spent sleeping, making the right mattress incredibly important. It can make all the difference to having a good or bad sleep. (see previous post on sleeping tips here). 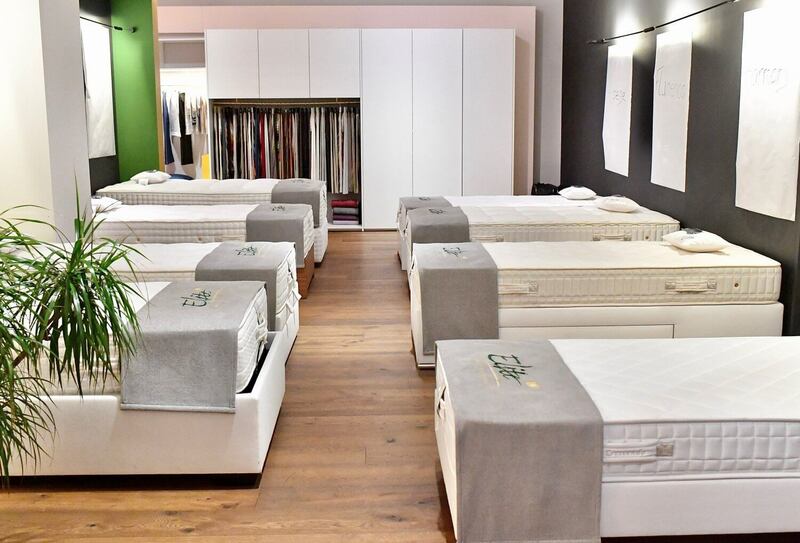 However one of the questions I’ve always wondered is “How to choose the perfect mattress”? Is there a magic formula? What are the key points to look out for? Should a mattress be soft or should it be hard? 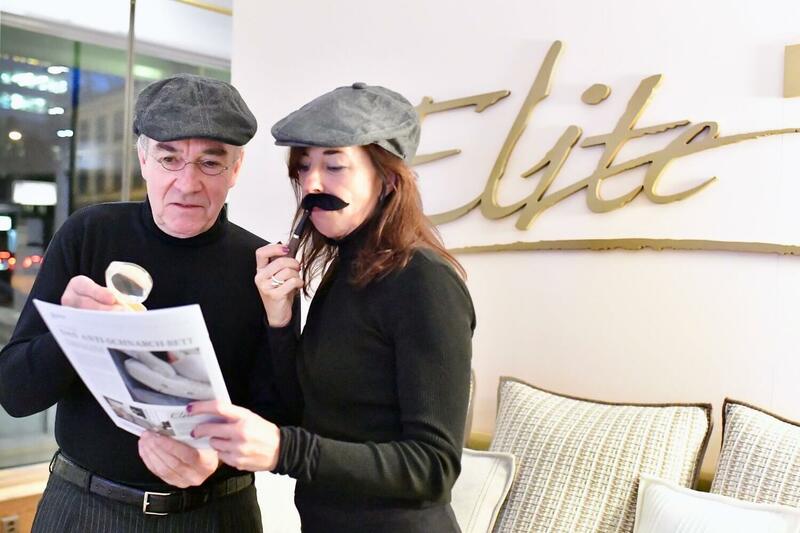 So many questions led to Elite Beds and FunkyForty holding a “Mattress Detective Evening” this week. 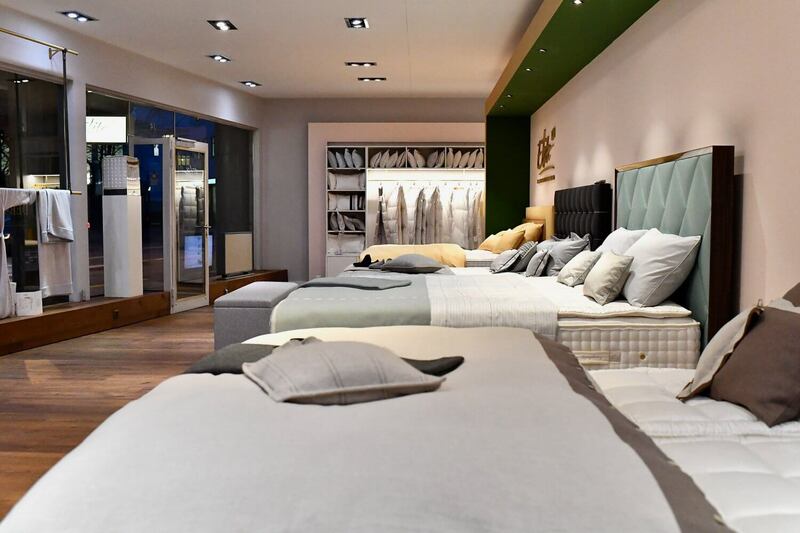 I’m going to tell you a little about our evening first and then at the bottom of the post are 7 great tips for discovering the perfect mattress for you. 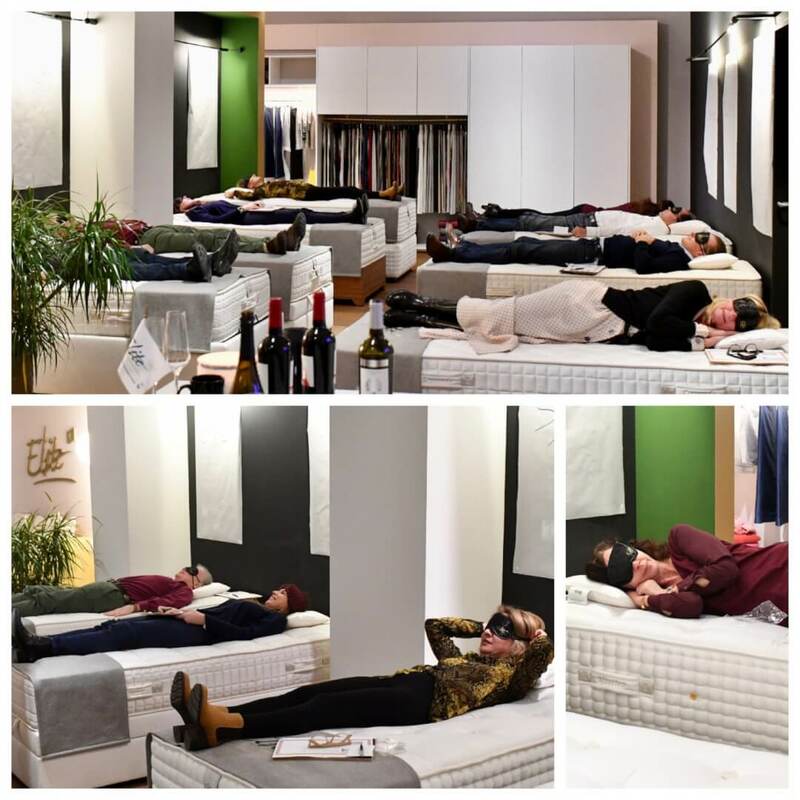 8 guests were invited to test 8 different mattresses. Starting with apero and chit chat. Each guest was then given a chart with the names of each mattress along the top and 8 different mattress criteria along the side. Their mission was to match the right mattress with the right mattress criteria. A difficult but fun mission. Interestingly, at the end of this exercise each contestant knew which mattress was their favourite! 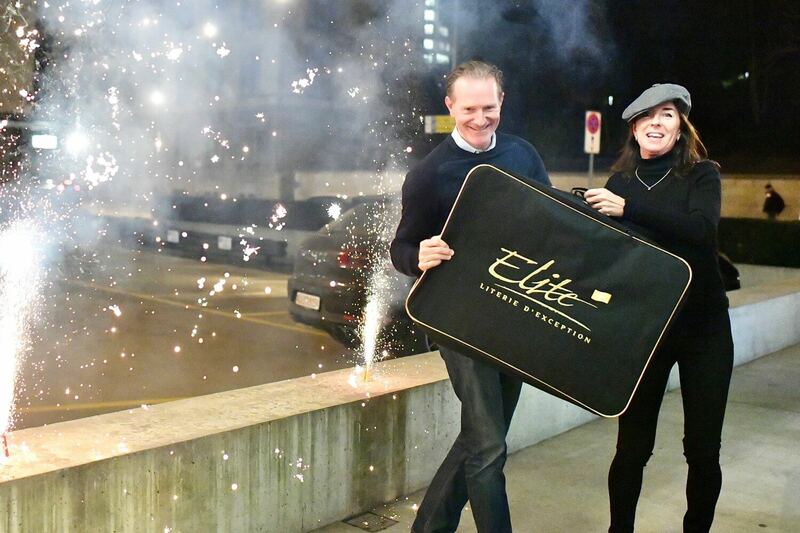 A little celebration for Urs who won an Elite pillow for getting 8 out of 8 right! Keep reading for 7 tips about how to discover the perfect mattress for you. 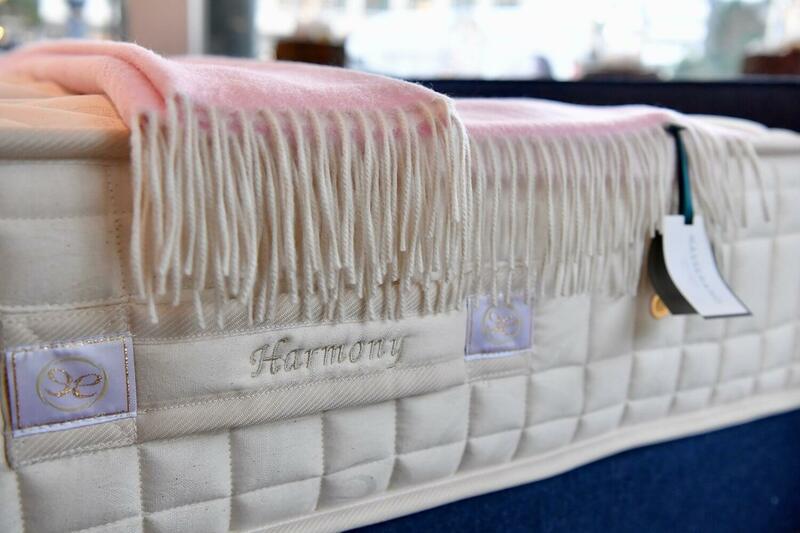 You need to try out a few different mattresses to find the right one for you – it is a matter of discovery! If you’re too tired every mattress will suddenly seem right to you! If you start wriggling the minute you lie on a mattress, then it’s NOT the right one for you! You should feel as though your whole body is being supported when you lie down on the mattress. 5 – Soft or hard? Typically softer mattresses are made for lighter weight people and vice versa. 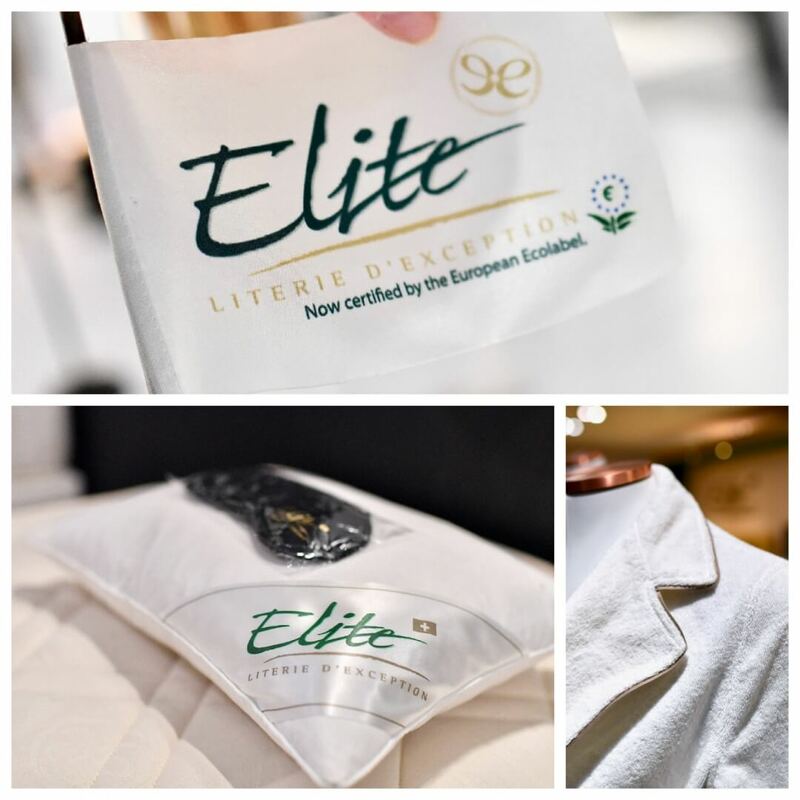 Interesting though, each of the 8 mattresses we tested at Elite beds comes in a soft, medium or hard version. So you still need to find the right type of mattress for you first. It’s important to sleep so your back is straight, not hard! Like buying shoes, a mattress must feel perfect from the start. It’s nothing you need to get used to! The trick is that a mattress must be able to support you in such a way that you feel just as comfortable and pain free lying down as you do when you are standing. Elite beds say they have the perfect mattress for every type of person – so why not do a little testing for yourself – smile! If you are in Zurich, due to popular demand we will be repeating this evening in February and have a couple of places left. 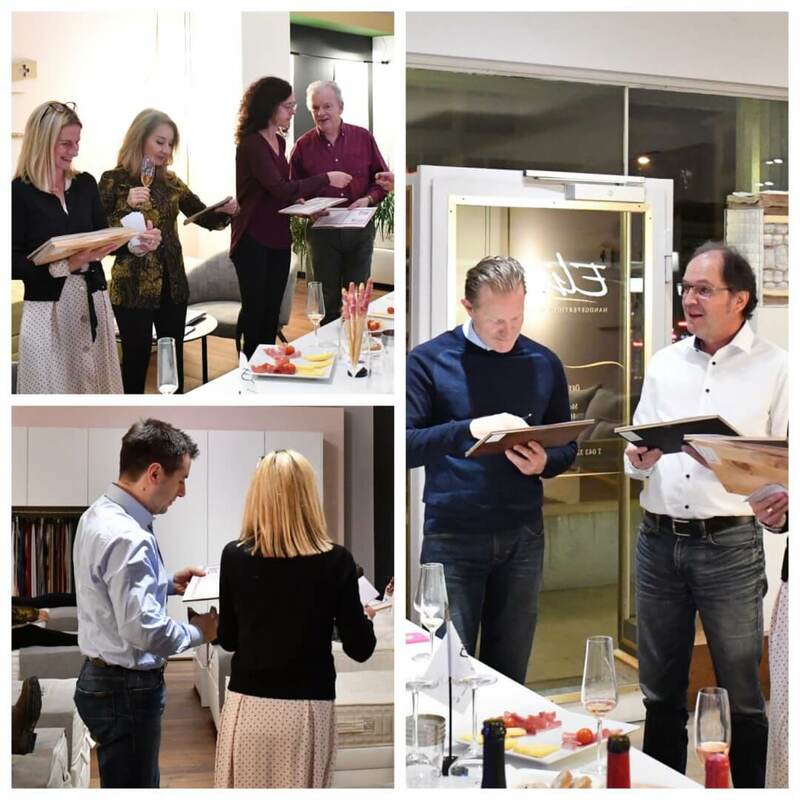 Email: yvonne@funkyforty.com to find out more if you would like to take part in another Mattress Detective evening. Stay tuned for more Fashion and Lifestyle news! Good luck discovering Your perfect mattress! All photos taken by and property of FunkyForty.